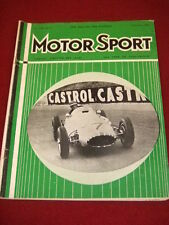 Autosport Magazine 4th April 1958. AUTOhebdo from 3 - 10 June 1976. Condition: Reasonable. Well read with clear signs of use, wear and tear. LE MANS RACING - Le Magazine de la Legende - Novembre 2010. Interview - Timo Bernhard. Focus - BMW M3 GTR. ILMC - Petit Le Mans. Technique - Green racing. Chronique - Essais Libres. Chronique - Legendes des 24 Heures. 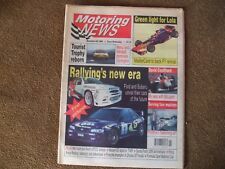 Motoring News from 6th November 1996. Swede Savage. RS500 vs BMW M3. 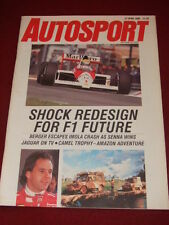 Autosport Magazine 16th January 1986. Motoring News from 12th July 1973. Motoring News from 23rd March 1988. Motoring News from 1st February 1989. Motoring News from 17th January 1974. Autosport Magazine 30th May 1985. 2-page profile of the new Toleman-Hart TG183 F1 car. Interview with Patrick Tambay. Rally Italia. Rally de Walonie. Eddie O’Donnell. SRS Chats To:-. Grampian Forest Rally. Rally Madeira. Solway Coast. Rally reports from Cambrian Rally. Malcolm Wilson. Galway International. New Issue 28th March 2019. 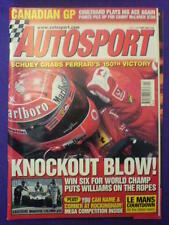 World-leading coverage of the best international motorsport. It ran to issue number 105 (although Number 73 does not exist!). and there were 8 Special issues. The specials ran from number 2 to 7 and there are two unnumbered issues. In good condition with a small sticker mark on the front cover. 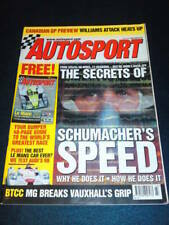 Contents include Renault 11GTL, Porsche 928 S2, Silverstone 1000kms, Monza 1000kms, San Marino GP, French GP. 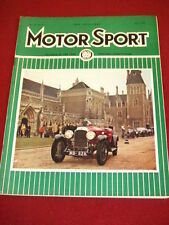 Contents include Renault Dauphine, Goodwood racing, Calthorpe cars, Rolls Royce Phantom III, 4 ½ litre Lagonda, Sunbeam Rapier. Contents include BMW M1, Saab 9000 turbo, BMW M535i, Lancia Thema, Ford RS200, Ivory Coast rally. 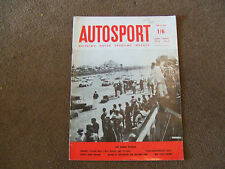 Contents include Monaco GP, Belgium GP, Le Mans 24-hr race, Dolomite Sprint, Ford Consul 3000GT. 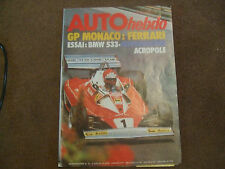 Contents include BMW 318is, Maserati Shamal, BTCC, BMW 850, TVR Tuscan, Caterham 7, Jacky Ickx, Ford Falcon V8. Contents include Enzo Ferrari tribute, Senna wins in Belgium, Ferrari win at Monza, Alpina BMW, 1959 Chevrolet Corvette, Panther Kallista, Silverstone TT. Motor Sport magazine July 1991 Vauxhall Carlton, Porsche 944 cabriolet. 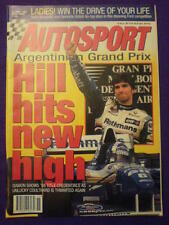 Contents include Senna wins US GP in Phoenix, Eriksson wins Swedish Rally, 1991 WSC preview, Rover 216 GTi, Saab 9000 Carlsson. Motoring News from 17th May 1989. Motor Sport magazine October 1986 BMW M3, M5, Connaught, Sierra RS Cosworth. Contents include Nurburgring 1000kms, Italian GP, Subaru XT Coupe, Fiat Croma, BMW M3, M5, Connaught, Sierra RS Cosworth. Contents include Dallas GP, MG Montego EFi, Detroit GP, British GP, Renault 5 Turbo 2.